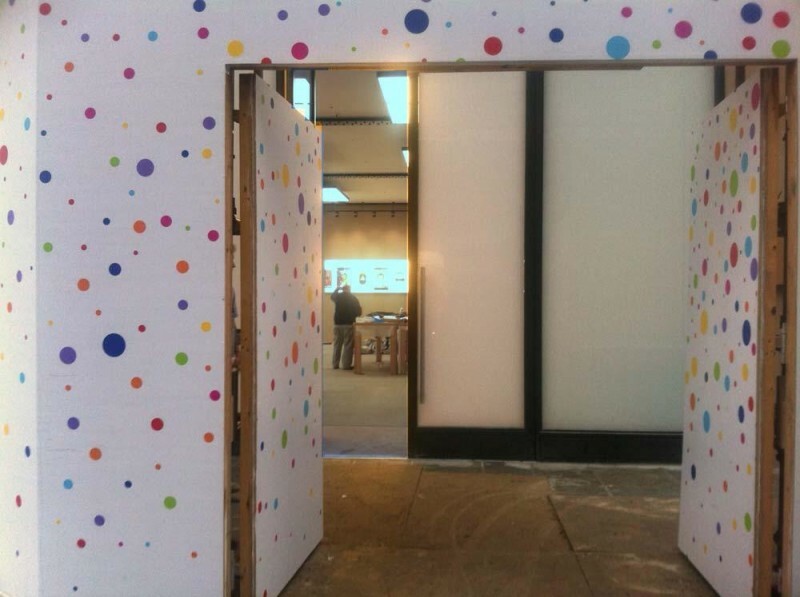 Apple today announced (via ifoAppleStore) that its new Princes Street retail store in Edinburgh, Scotland will open next Saturday, October 18. The date was revealed this morning on the multi-colored banner that has been surrounding the location since July. Apple spent over a year constructing the store, which was followed by nine months of delays as it attempted to finalize its design. According to the Edinburgh Evening News, the building containing the retail space was built in 1769 as the Crown Hotel. Throughout the past 40 years, the location has been occupied by a number of tenants including Woolworth's, Burger King, Waterstones, and Evans. The new store will also follow Apple's recent trend of constructing retail stores in historical buildings, most recently done with its MacArthur Chambers Store in Brisbane, Australia. The Princes Street location will be Apple's 38th in the United Kingdom, and will join the company's Braehead and Buchanan Street stores in Glasgow. Like with other store openings, it is likely that Apple will give out free shirts to the first 1,000 customers to visit the new location. We've been watching this slowly evolve in Edinburgh for so long, it will be a relief to finally see it open for business! I might go up there on Saturday morning..
What time will it open? Is it me or is this the first store whose temporary facade refers to the new Apple Watch? It reminds me of their recent exhibition at Collette. Bullring is too small, I can see that one closing if they open at the station.